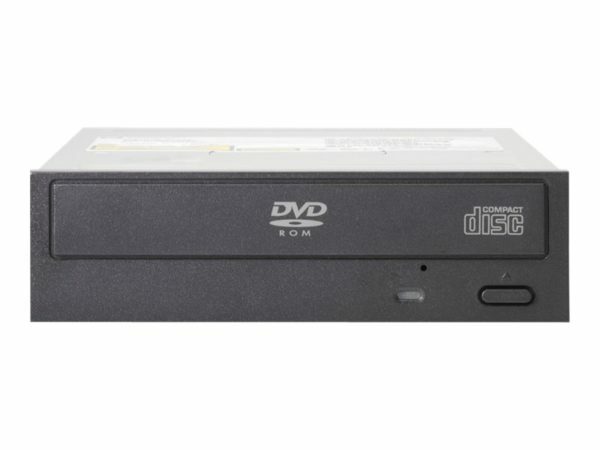 Add the latest The HPE DVD-ROM drive designed to read not only CD-ROM and CD -R/RW discs but also DVD-ROM, DVD-RAM, DVD +R/RW and DVD -R/RW discs. The HPE DVD-ROM drive supports writing to CD-R, CD-RW, DVD +R/RW, and DVD -R/RW media via software utilities. For Microsoft operating systems, The HPE DVD-ROM drive is available by installing the included Roxio software disk. For other operating systems, an operating system-specific software utility is required for writing to media.